Little gift/storage pods. Decorated with a little loop at the top and toggle closure. This is a beginner/easy level pattern. 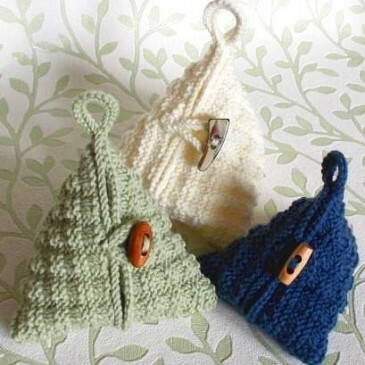 The pods are super simple to knit. All you need to know is how to cast-on, bind-off, knit and purl.